How many folks do you know who say they don’t want to drink anything before going to bed, because they’ll have to get up during the night? Something else I didn’t know … I asked my Doctor why people need to urinate so much at night time. Answer from my Cardiac Doctor – Gravity holds water in the lower part of your body when you are upright (legs swell). When you lie down and the lower body (legs and etc) seeks level with the kidneys, it is then that the kidneys remove the water because it is easier. This then ties in with the last statement! Mayo Clinic Aspirin Dr. Virend Somers, is a Cardiologist from the Mayo Clinic, who is lead author of the report in the July 29, 2008 issue of the Journal of the American College of Cardiology. Most heart attacks occur in the day, generally between 6 A.M. and noon. Having one during the night, when the heart should be most at rest, means that something unusual happened. Somers and his colleagues have been working for a decade to show that sleep apnea is to blame. They work much faster than the tablets. Why keep Aspirin by your bedside? It’s about Heart Attacks. 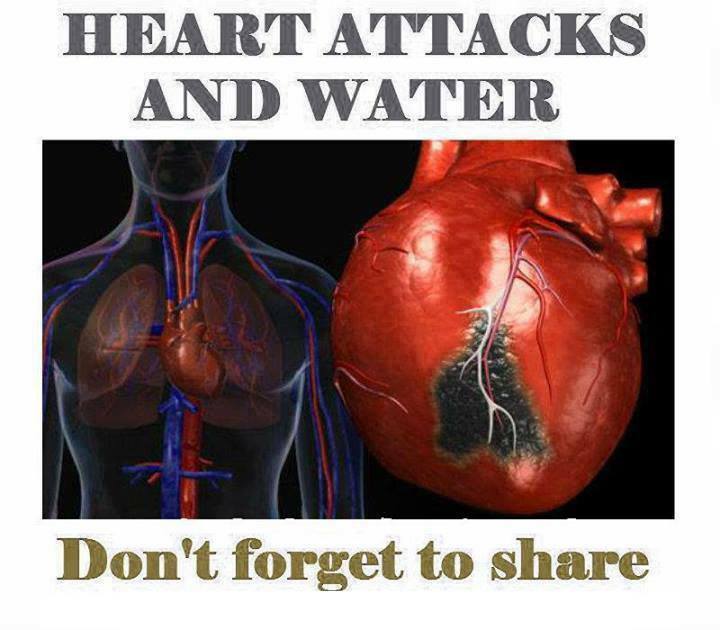 There are other symptoms of a heart attack, besides the pain on the left arm. One must also be aware of an intense pain on the chin, as well as nausea and lots of sweating; however, these symptoms may also occur less frequently. Afterwards: – Call 911. – Phone a neighbor or a family member who lives very close by.- Say “heart attack!” – Say that you have taken 2 Aspirins. Take a seat on a chair or sofa near the front door, and wait for their arrival and …DO NOT LIE DOWN! Turmeric has outstanding medicinal properties but is not easily absorbed into the system when consumed. Fermenting turmeric is one way to increase its bioavailability. The turmeric bug can be used in a multitude of recipes including beet kvass, turmeric lime soda, gelatin and more. Ginger works equally well for this recipe. Ginger offers unique nutritional benefits also. You can even combine ginger with turmeric for a unique flavor! 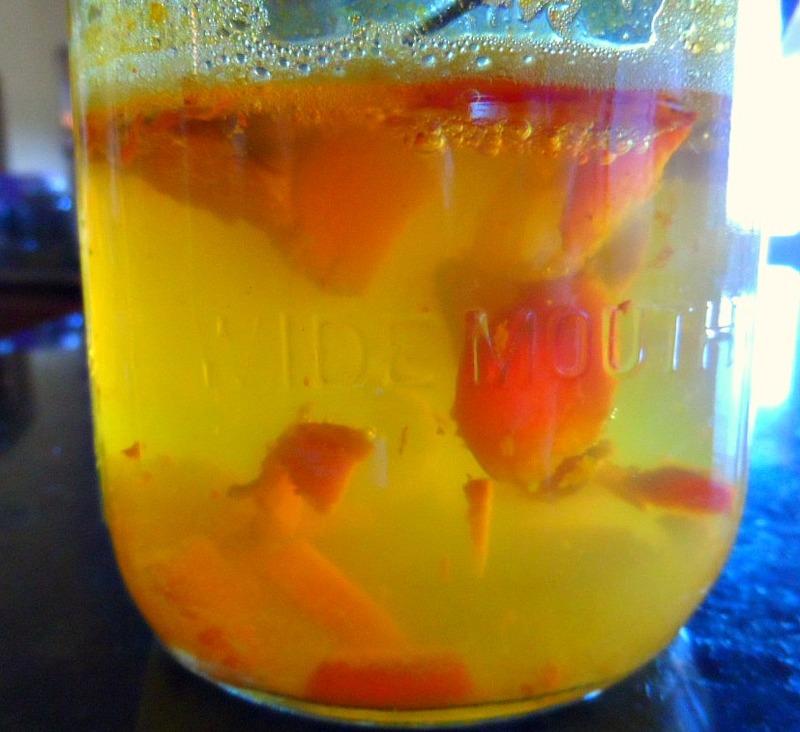 A simple way to ferment turmeric. Ginger may be added or substituted. 1 Tablespoon Turmeric root, ginger root, powdered turmeric and/or powdered ginger. Grated coarsely if using the root. 3/4 Cup Filtered water Dechlorinated water is optimal. Cover with cloth and rubber band. Place on shelf out of direct sunlight. After 24 hours add 1 Tablespoon grated turmeric, 1 Tablespoon powdered turmeric, OR 1 Tablespoon grated ginger. Add 1 Tablespoon sugar. Stir well. Replace cloth cover and leave on shelf. Strain and use in recipes or store in refrigerator. Secret Recipe Detox Drink will help your body burn fat, lose weight, fight diabetes. Stevia is an all natural sweetener made from the stevia plant and it is a great replacement for any artificial sweeteners. 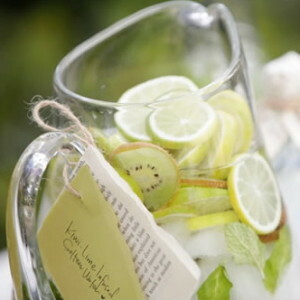 Enjoy this simple and lovely deliciousness of herbal infused water with any thirsty summertime crowd. Infused water is one of the easiest ways to incorporate herbs into your daily life and has virtually endless possibilities of combinations to create. People will think this is a magical elixir on a warm day, and that’s exactly what it special about it. What flavorful herbs do I infuse in the water from my Soquel Hills’ well? I put in spearmint leaves, rose geranium flowers and leaves as well as lemon and orange slices. The combination of these fragrant herbs along with the refreshing hints of citrus taste is oh oh sooo good and really does quench your thirst. You can try a combination of many common garden variety herbs like lemon balm, camomile, mints, sages, flowers like rose geranium and fruit like citrus, berries and even veggies like cucumbers. People like the mint because of its cooling qualities especially beneficial on hot days and my family loves the addition of Rose Geranium that added the most wonderful hint of rose that is such a surprise taste. Try adding sliced lemon and orange. The combination of these tastes is really quite delicious and refreshing! In a quart sized mason jar, fill 1/4 full with fresh herbs, washed, with leaves pulled off of stems. Discard stems and damaged or bruised leaves. Fill the rest of the jar with water and refrigerate for 2 hours or up to 2 days. Strain and enjoy! Get Hydrated – Fruity Water Elixirs – It Will Change Your Life! Fruity Water & Beauty Elixirs – Get Hydrated – The majority of us are extremely dehydrated causing us great health risks – Get Hydrated with Alkaline Water! This is the single most important thing you can do to for your health, energy and vitality! Wow, the weather here in France is crazy, as so with many other parts of the world, we have literally gone from winter to full on summer over night, it’s a shock, really don’t know what happened to spring? So I am doubling up on my water, I am out planting like a mad thing, if I had planted any veg before now it would have been ruined as we had some beautiful days that spurred the garden into growth, and then suddenly got hit with frost, I have lost several new plants so was not gong to risk the veg, they have been happily growing under cover. I cant believe how hot it is now, so with lots more heat and physical activity for me, I need to keep that water up. Seriously I cannot stress this enough – get hydrated – this will change everything like magic! You need to be drinking at least 3-4 litres of good quality alkaline water per day, and more if you are a little heavy, working out or in a hot climate! Okay, I know it sounds like a lot, but it really isn’t when you get used to it! These fruity water elixirs are wonderful for keeping us hydrated with a little more taste than plain water! FRUITY WATER & BEAUTY ELIXIRS – HOW MUCH WATER DO WE NEED? Some people just can’t keep up the plain old water, but we so need it, this fruity water is perfect to give us what we need to stay in balance with a little flavour added, and of course we can use different fruits and herbs to keep our interest up. Our bodies are something like 70-78% water, we must maintain this level to stay healthy, if we sweat a lot through exercise, hot weather or whatever, we are reducing our bodies water content and our cells are dying, we are aging rapidly! Fruity water is perfect. The majority (very large majority) of us do not drink nearly enough water, not even close! Our digestion is slow, we are stagnant, and we are not clearing away toxins, we are too highly acid, our bodies are tired and our organs are under stress and pressure, we need to get hydrated! The body does it’s best to protect us and keep our vital organs safe, it stores toxins and poisons anywhere it can away from our organs! Guess where its stored? Yeah not where you want it! So can you see then that this is why we end up with aching joints, skin problems, exhaustion and weight issues, not to mention the disease we are building? So those times when you found it hard to lose weight, or you struggled with your skin or wounds just not healing? Headaches, mental fogginess, depression? This is not to mention what happens in the bowels!!! We simply cannot flush waste when we are dehydrated, we get sticky clogged colons and that could develop into something really nasty! Being dehydrated is obviously not the only factor of good health but it certainly is of utmost importance and the beginnings of excellent health! We simply cannot survive without water. Get Hydrated! Alkaline water hydrates up to 17% better than any other water! Veggies and some fruits are alkalizing, try adding fruit and herbs to filtered water for a hydrating alkaline drink, and get on the green drinks! Being hydrated can change everything, sounds simple doesn’t it? Well it is, just drinking enough water and making it a habit, can have a profound effect on your whole life. I had an email from one of my readers a couple of days ago, she said she had been drinking 4 litres per day and had lost weight without even changing her diet, she suffers with constipation but she is clearing! This is fantastic, she is now so relieved and is excited about learning about her body and including more raw food into her diet, I cannot wait to see how she gets on! The correct amount of water intake certainly will help you to lose weight, as it clears acid toxins from your system and boosts your metabolism. Just look at your skin when you are tired or hung-over, that’s a good one – that is pure dehydration! Just test this for yourself, next time you feel really tired, give yourself a couple of hours and get 2 litres of good clean alkaline water into you, see how different you feel. I know it sounds a lot, but when you have developed this habit, you will automatically be looking for that water! Keep water with you at all times, it becomes easy! We often make the mistake of thinking we are hungry when what we really need is water, easy to see this leads to weight problems! Our body is designed to be alkaline, but unfortunately we with our westernised diet, eat way to much acid forming foods and drinks such as soda’s, sugars, breads, sweets, pizza, chips, alcohol, white rice & pasta, trans-fats, junk food, processed food, dairies, meats and the list goes on! Animal produce in our day now is poison, full of toxic drugs, If I want to put drugs in my body, then I will make that choice, no one else! We are basically stupid! How can we expect this amazing body to carry us through life and we don’t even learn about it’s needs? We put our body under such strain, we need to assist our body instead of ignoring it! It is so easy to stay healthy when we understand what we are doing to ourselves! Education is everything! You are everything! You are more important than your job or your business, your body needs and deserves your attention! Without it what have you got? Without your body you have no where to live! And these are just a few benefits! To Get Hydrated Means To Get Healthy! Alkaline water is easy to make yourself, remember – Alkaline water hydrates up to 17% better than any other water! Just adding lemon makes your water alkaline, try lemon and lime – gorgeous! I add wild greens mostly, dandelion, rocket and today mint. Then raspberries and apple – very refreshing. I mix mine in the biggest (glass) jug that I can find and keep it going, just top up with filtered water as you go – keeps me going all day. Get Hydrated – Get Hydrated – Get Hydrated! This is another version of the fat flush water, it also promotes energy and good health. I think it sounds delicious, it will be in my refrigerator in the next few days! This drink can play a huge role in your flat belly diet! Enjoy! Place all ingredients in a large pitcher, let blend together overnight, the next day drink the whole pitcher during the course of the day. Hello fast weight loss!